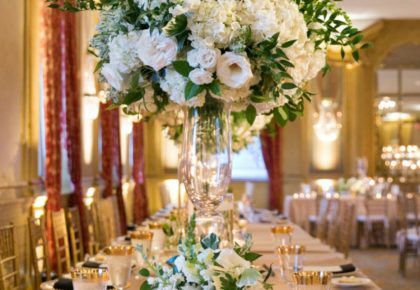 While there are a number of factors that play into wedding planning, accommodating your guests is always a priority. 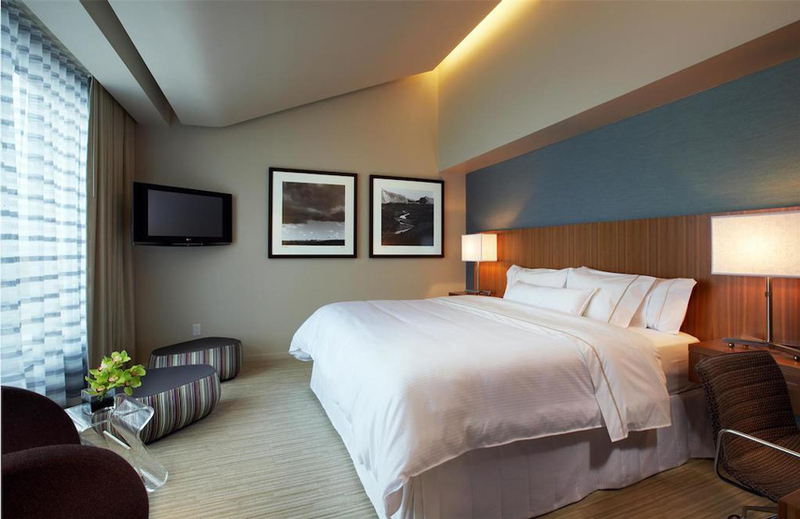 Find the best place for their stay by browsing our list here. 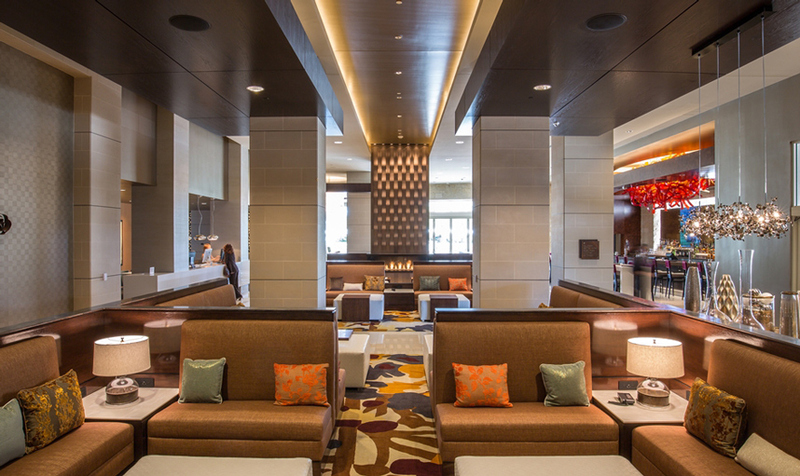 These North Texas accommodations are some of our faves, offering premier services, excellent amenities and quite the stylish comfort. Enjoy! 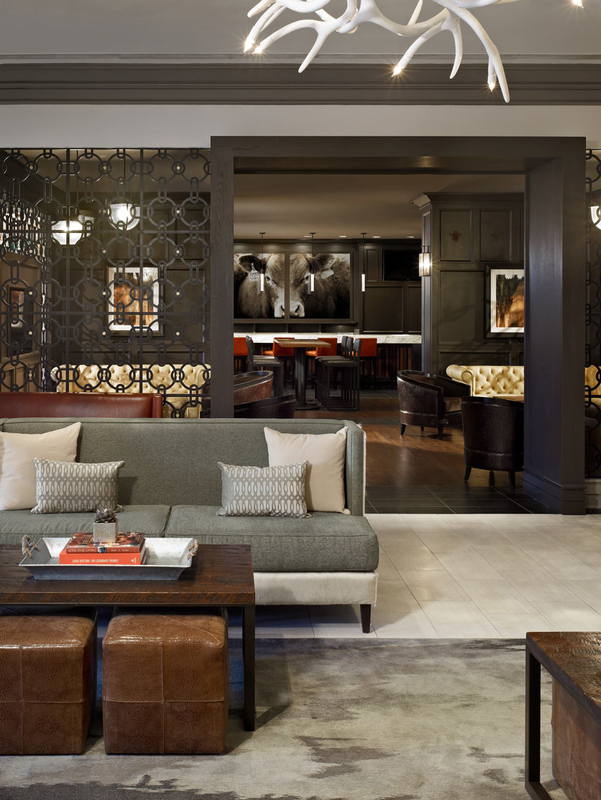 Warwick Melrose Hotel, Dallas – Few hotels reach landmark status, but Warwick Melrose Hotel, Dallas more than qualifies. 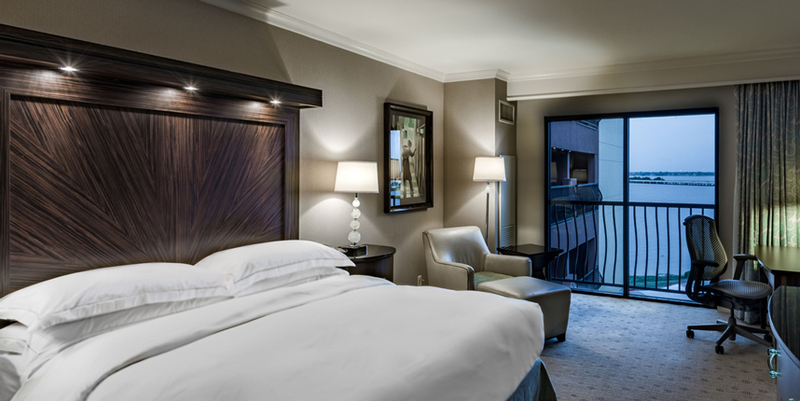 In addition to its 184 guest rooms, 21 suites and unparalleled Presidential Suite, this hotel doubles as one of the city’s most popular business and after work social meeting spots. 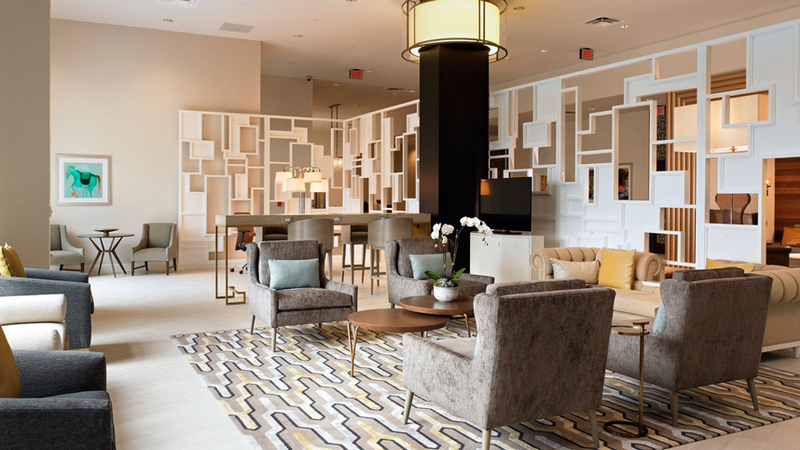 NYLO Dallas/Las Colinas Hotel – Built from the ground up, NYLO Dallas/Las Colinas Hotel is filled with spacious lofts and suites complete with sky-high ceilings, lavish bathrooms and all the other comforts of home. 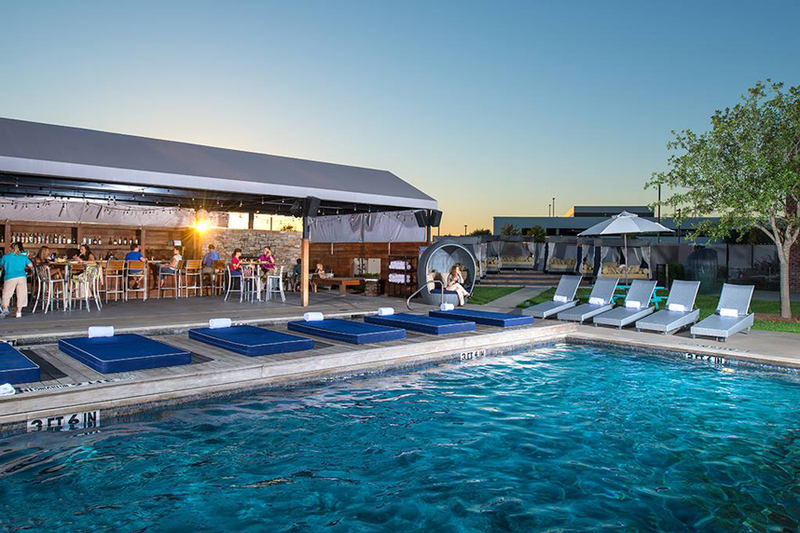 Day or night, the NYLO—with its infinity pool, lounge and live music – is the place for all guests, local and broad, to enjoy the gorgeous chic hotel. Furry friends welcome! 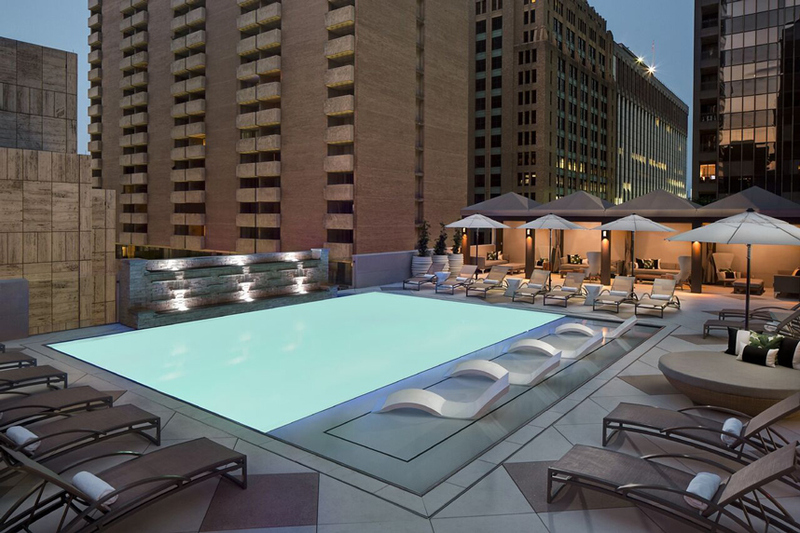 The Adolphus – Infamous for its entrepreneurial spirit, fashion and luxury, this Dallas destination also personifies that unmistakable Texas hospitality. 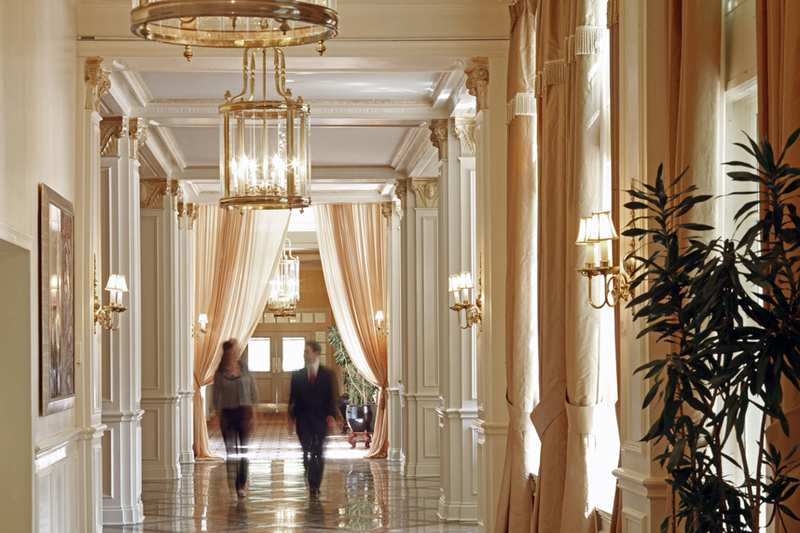 The Adolphus has served as an icon of Dallas and an integral part of the city’s history and culture since 1912. Between the 5,000 square foot spa and the rooftop pool surrounded by private cabanas, it is clear to see why guests love staying here for their get away! 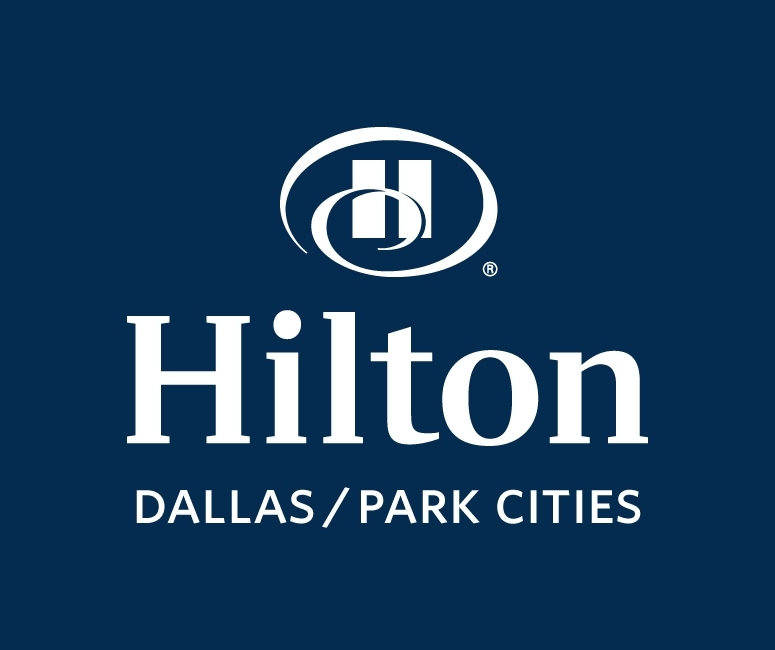 Hilton Dallas/Park Cities – Located in the heart of the Park Cities in Preston Center, the Hilton is within walking distance to many restaurants, clothing boutiques, salons and other popular businesses. 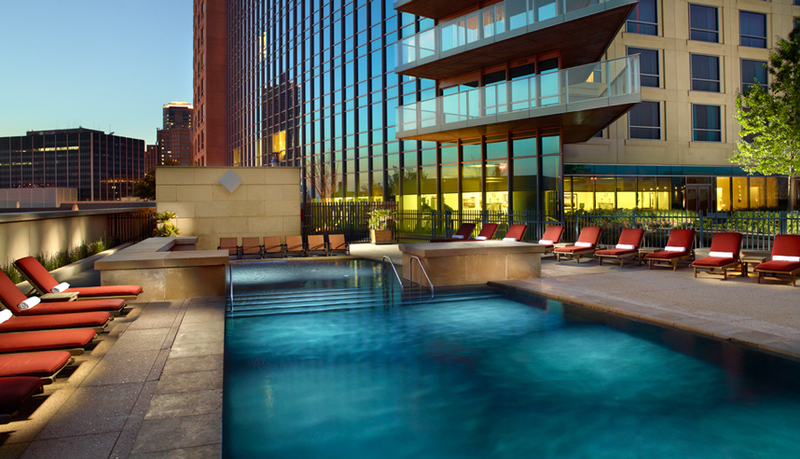 The rooftop pool with patio drink serves is a guest favorite as well as the top of the line fitness center with state-of-the-art equipment. 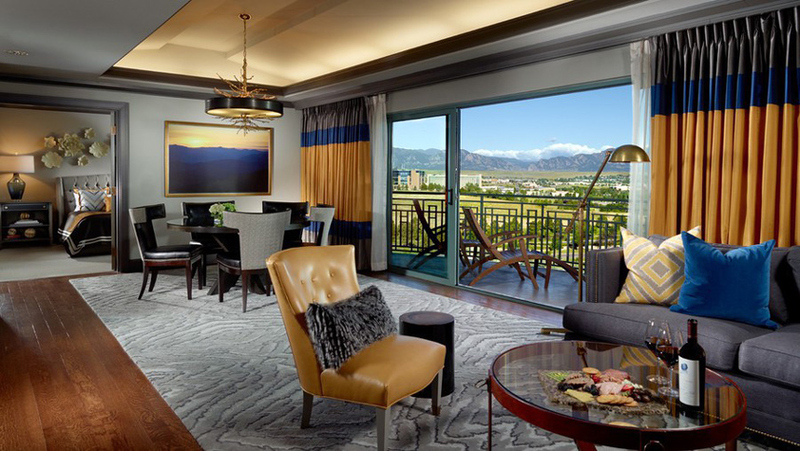 Not not to mention these amenities have an unbelievable view of the city! 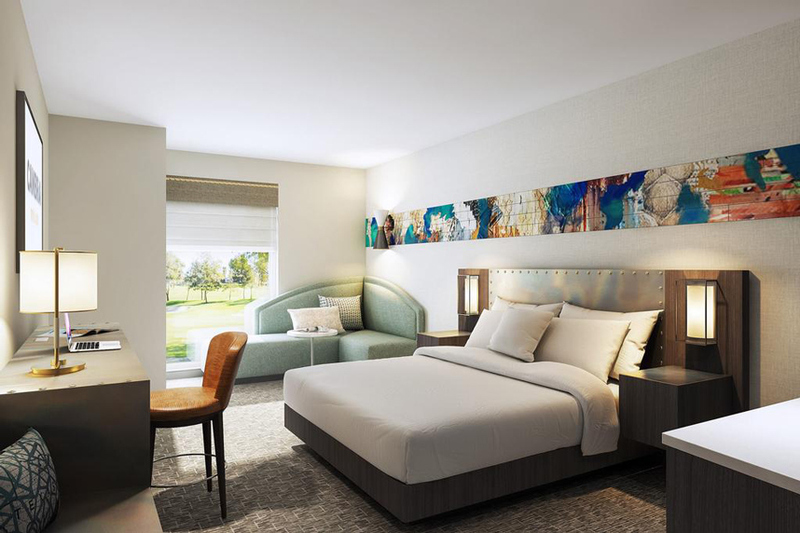 Hilton Dallas/ Rockwall Lakefront – The newly renovated hotel has a fresh, new, natural look that complements their lakeside destination. As part of the renovation, their in-house restaurant was re-concepted as Heirloom Kitchen and serves farm to fork, fresh, local ingredients. The hotel is neighbors with lots of fun shops, restaurants, bars and a movie theater. In the summer months, live concerts are offered along with guest sailing excursions! 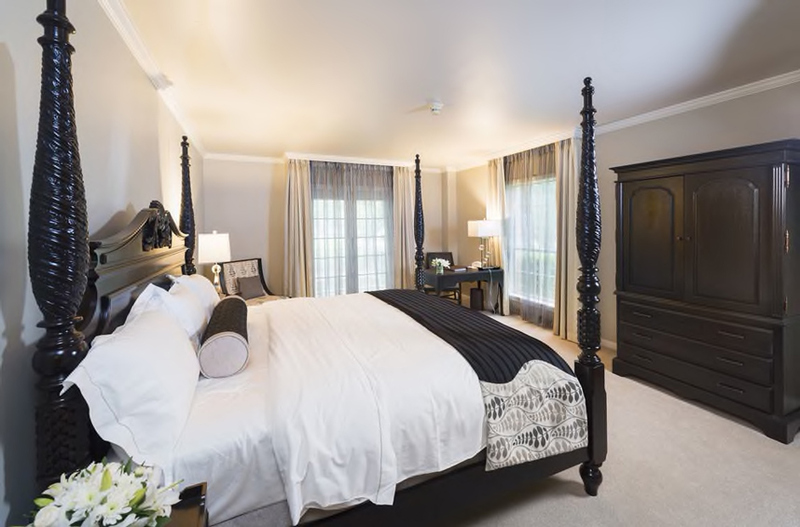 Hotel Crescent Court – Featuring undeniable Texas charm along with sophistication and southern heritage, Hotel Crescent Court always leaves guests satisfied. 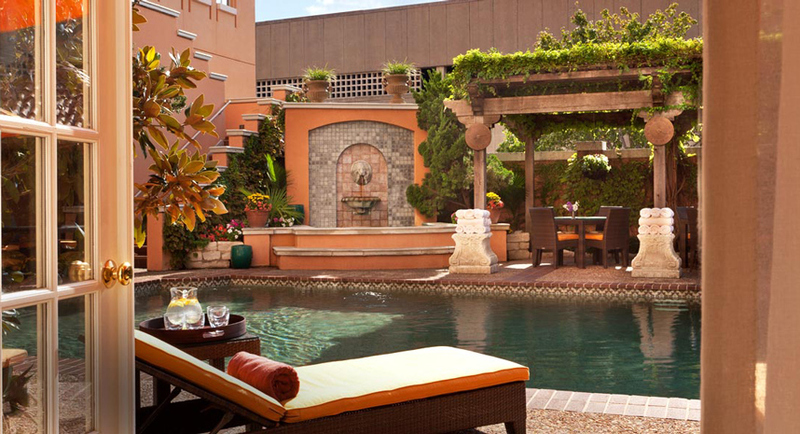 Known for its luxury destination spa that is the largest in Uptown Dallas, this gorgeous facility offers luxury guest rooms and suites and an amazing garden terrace for guest to kick back and relax. 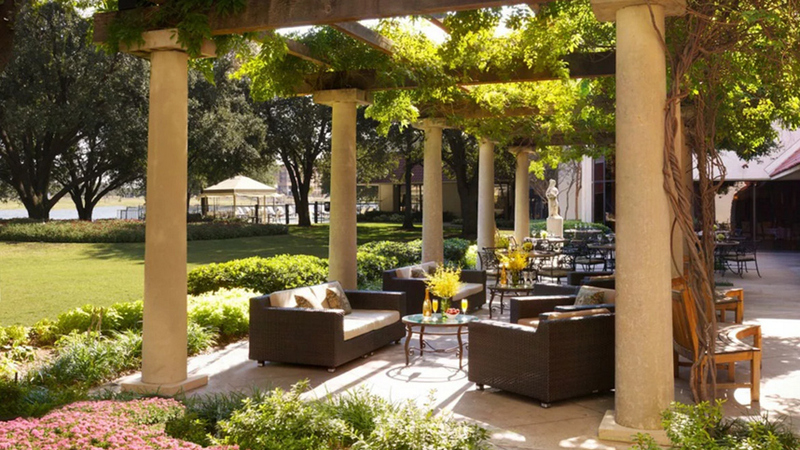 Rosewood Mansion on Turtle Creek – A legendary icon in Texas, Rosewood Mansion on Turtle Creek offers impeccable service and a world-class luxury experience. 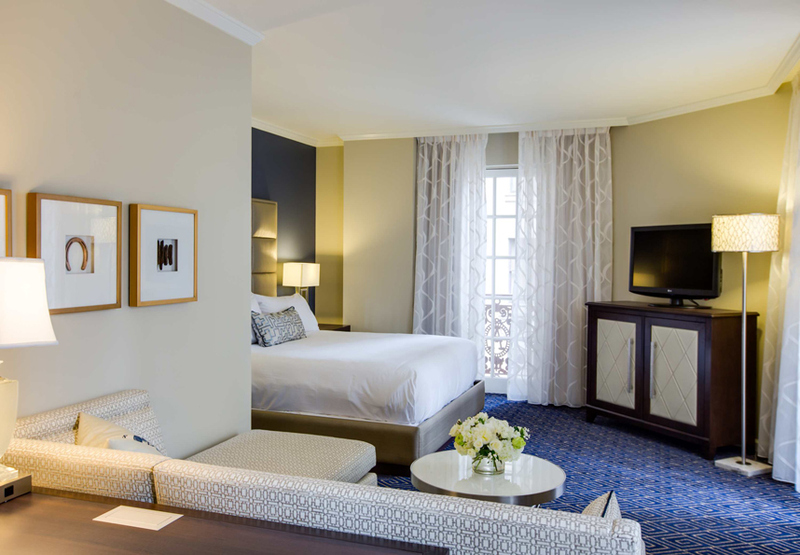 This breathtaking hotel retains the intimate ambiance of the 16th century Italian Renaissance while blending with it’s modern feel and amenities. 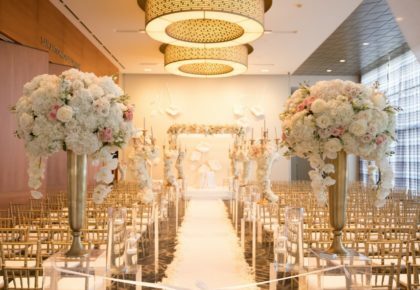 Westin Galleria – Located within one of the largest shopping districts in Texas, The Westin Galleria Dallas has amenities that both the bride and all her wedding guest will swoon over. Guests can order gourmet food and beverages while lounging on the all new cabana furniture. Guests can also relax by attending one of the private yoga classes the hotel offers. 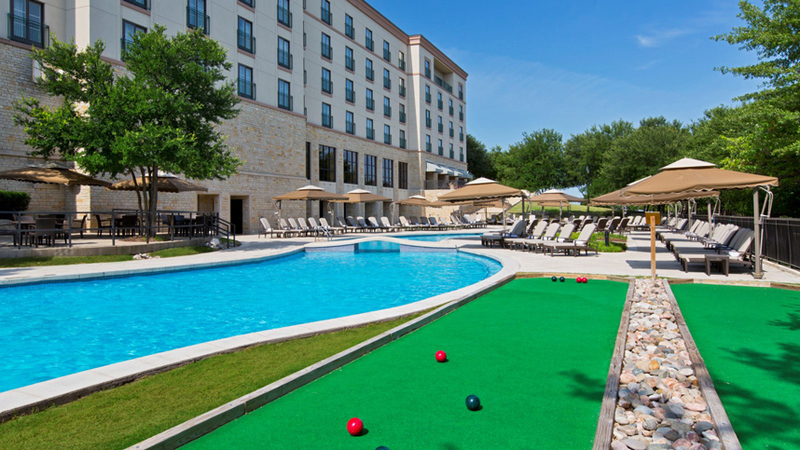 Westin Stonebriar – This Frisco escape features all of the flavor and charm of Texas with an ideal location just north of Dallas and less than a mile from Plano. 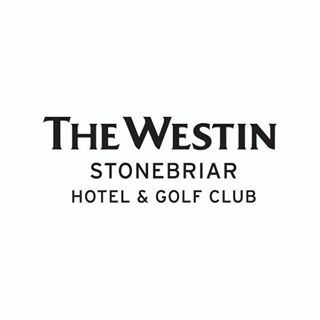 On behalf of the Westin Stonebriar hotel staff, guests are invited to enjoy their top of the line amenities including a state of the art fitness center featuring 2 Peloton bikes, the Tom Fazio-designed 18 hole championship golf course and their famous 200-ft lagoon style outdoor pool and whirlpool. 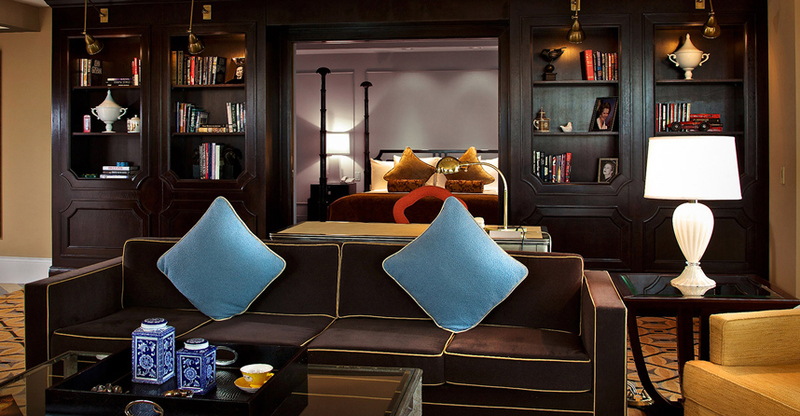 Cooper Hotel – The Cooper Hotel serves as an oasis to revive the body and mind. 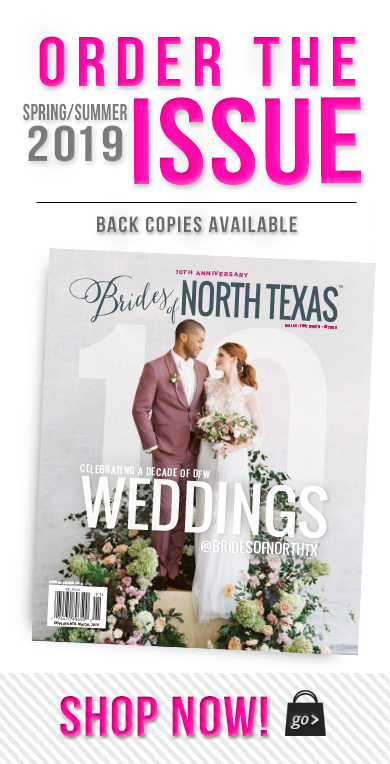 Enjoy 61 spacious rooms with 12 suites, resort amenities and beautiful outdoor grounds for a weekend getaway, wedding reception or social event. 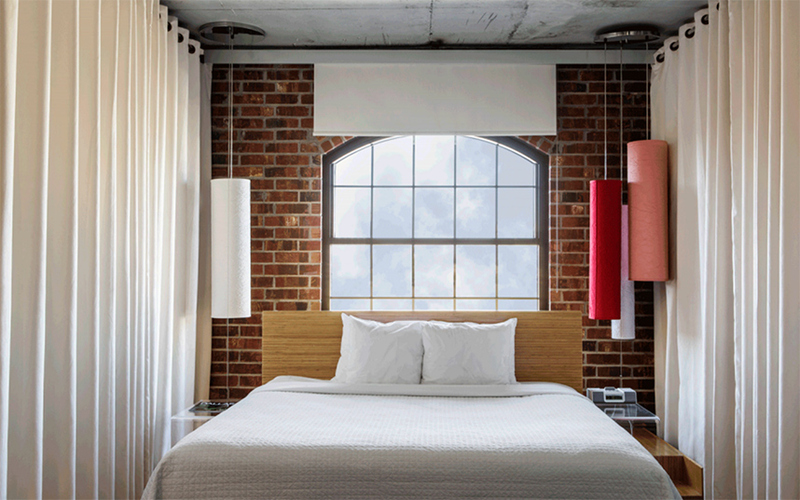 This quaint yet sophisticated lodging facility will make your guests feel right at home. 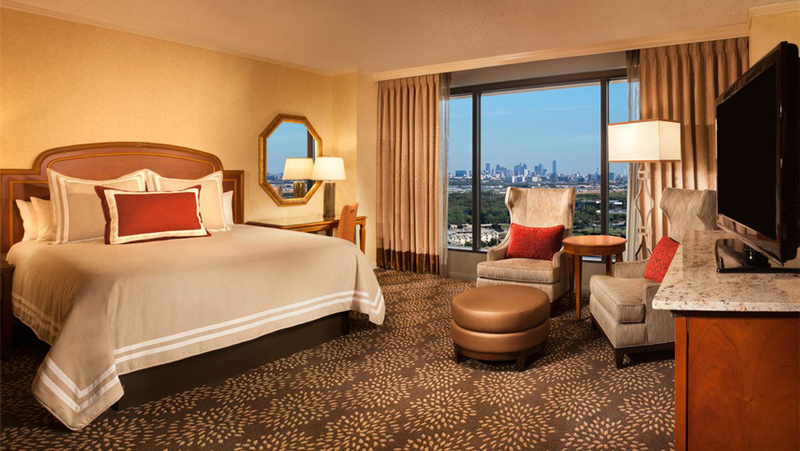 Hilton Anatole – Families love to turn their weekend stay into a mini vacation by choosing this Hilton as their hotel of choice. 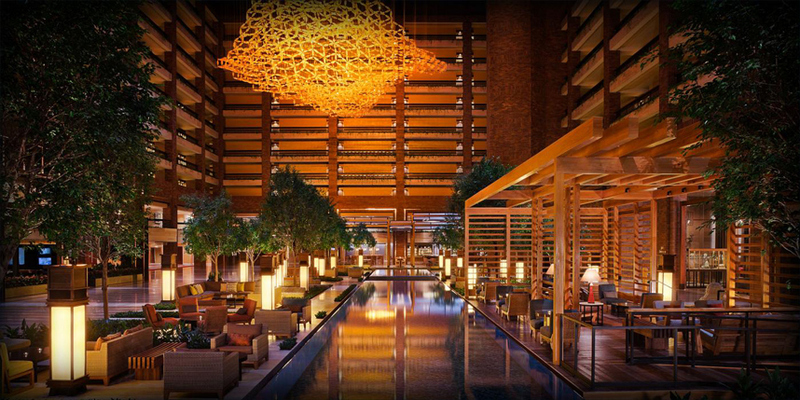 Spanning over 45 lush acres, just north of downtown Dallas, Hilton Anatole is a Dallas icon is the vibrant Design District. 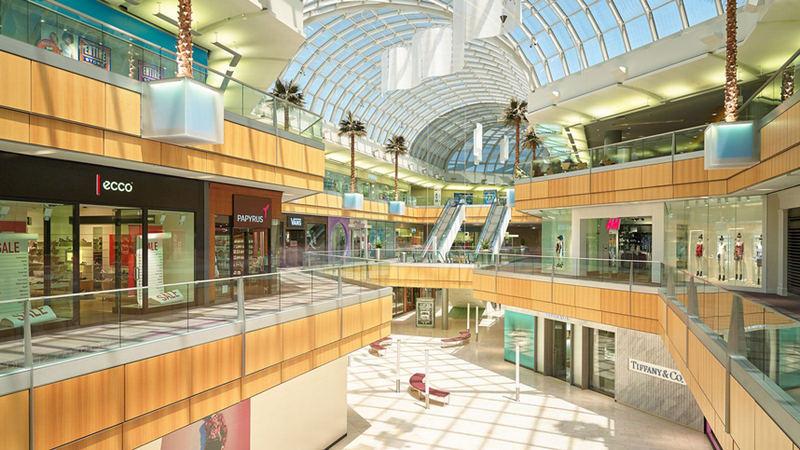 This state of the art hotel features indoor and outdoor facilities including V Spa, Verandah Health Club, the new Jade WAters resort pool complex and a private sculpture park. 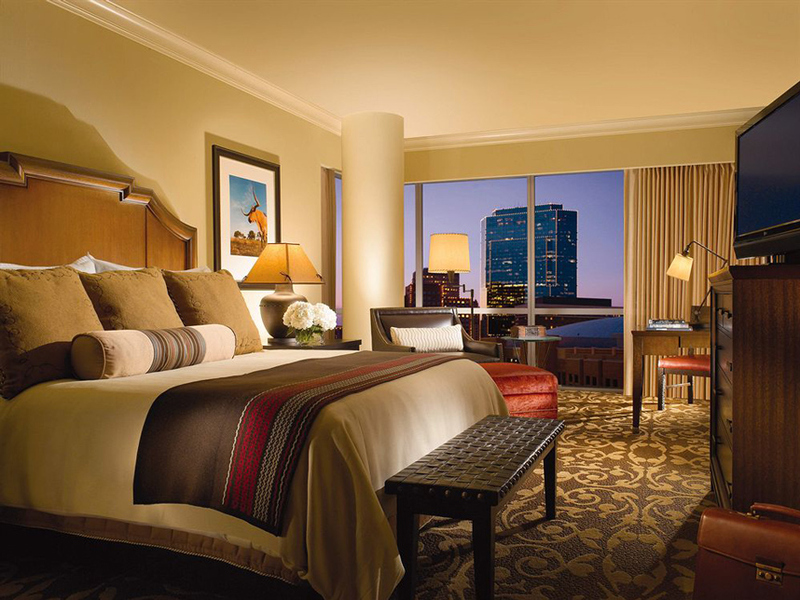 Omni Fort Worth – A stunning blend of native building materials and ultra-modern glass, Omni Fort Worth Hotel represents progressive luxury and offers amenities illustrating the Western spirit embodied by the city that surrounds it. 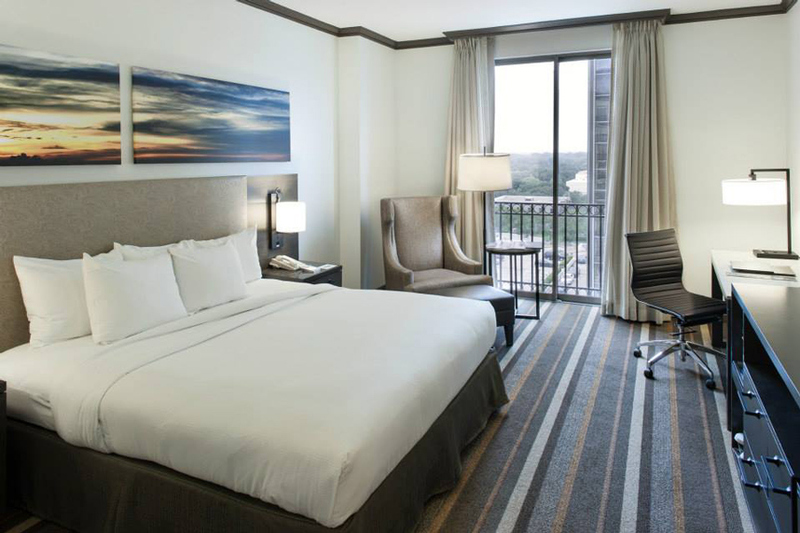 Conveniently located in the heart of Fort Worth’s exciting downtown, the hotel is adjacent to the Fort Worth Convention Center and within walking distance from the city’s cultural centers, restaurants and nightlife. 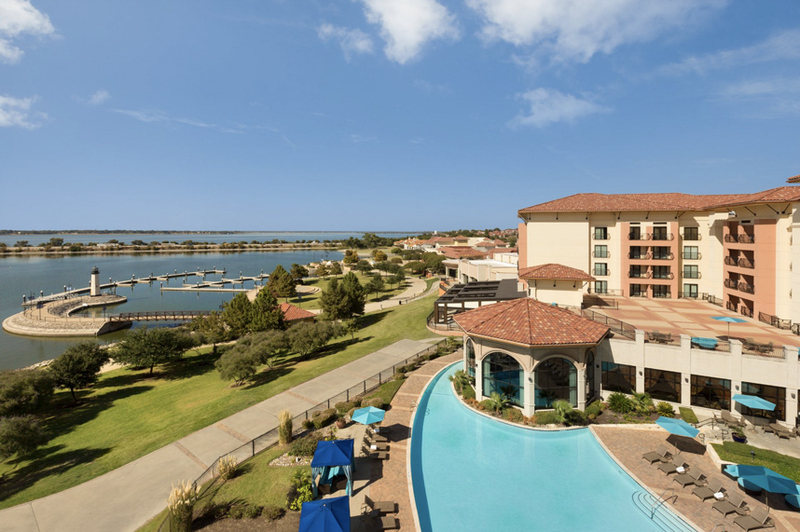 Omni Mandalay – While staying at the Omni Mandalay Hotel,guests will experience the urban energy of Las Colinas and the tranquility of the shore of Lake Carolyn. 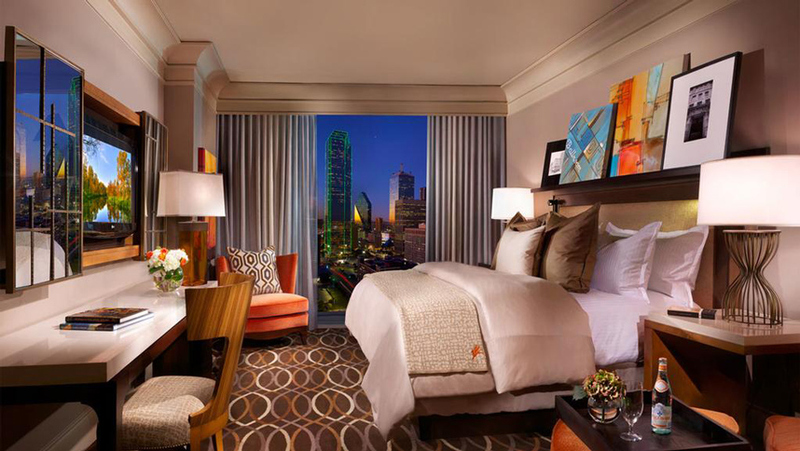 The Omni Mandalay Hotel lets you relax in the heart of the city and puts you close to the business and cultural attractions of Dallas. 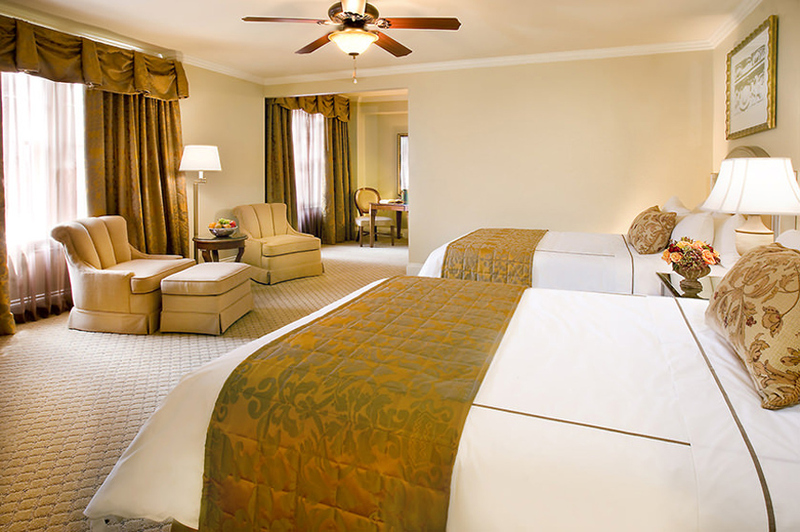 This Omni resort has the largest guest room accommodations in the Dallas area. 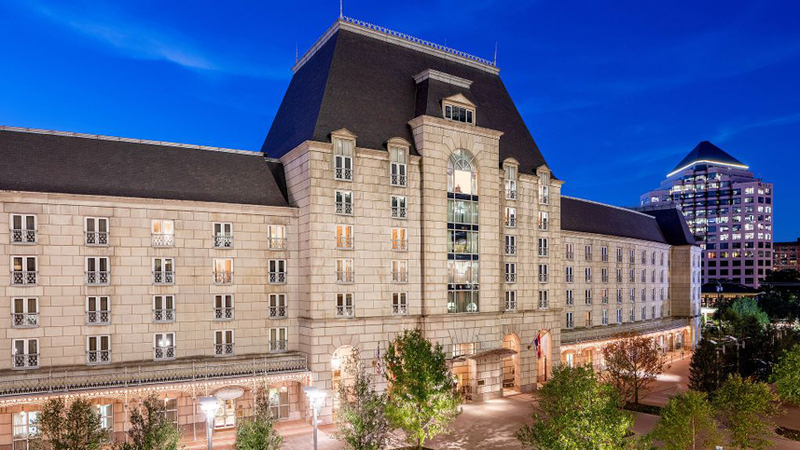 Omni Park West – Located near the vibrant Las Colinas Business District, and only 10 minutes from the Dallas/Fort Worth International Airport, this 12-story upscale hotel invites you to experience luxury in a modern yet comfortable and inviting setting that all guest enjoy staying in. 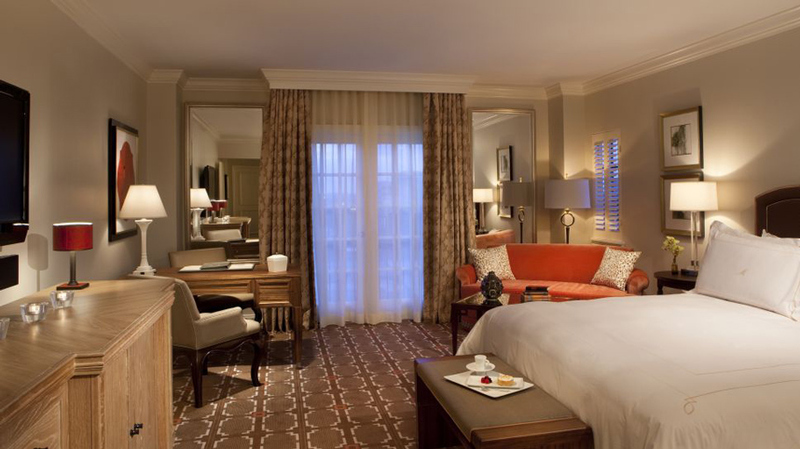 Cambria Southlake – When staying at this luxe Dallas hotel, enjoy contemporary style and upscale accommodations. 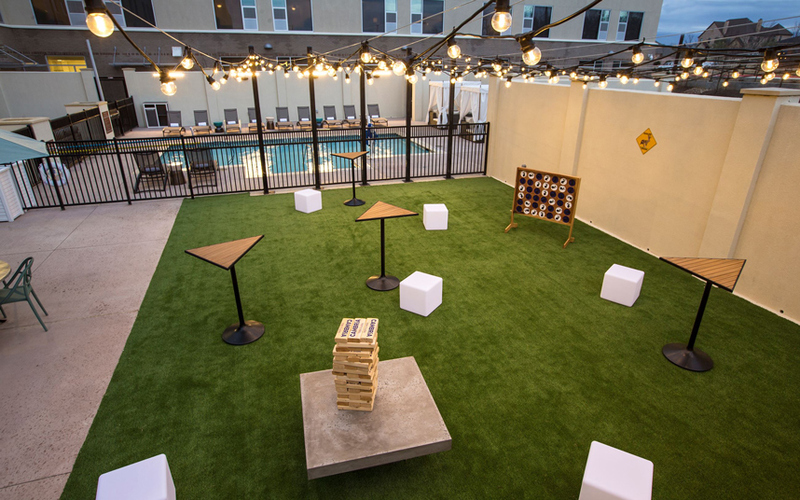 This smoke-free family accommodation destination is in close proximity to popular attractions like LegoLand Discovery Center, Sea Life Grapevine Aquarium, Dragon Stadium and Dallas/Fort Worth International Airport. 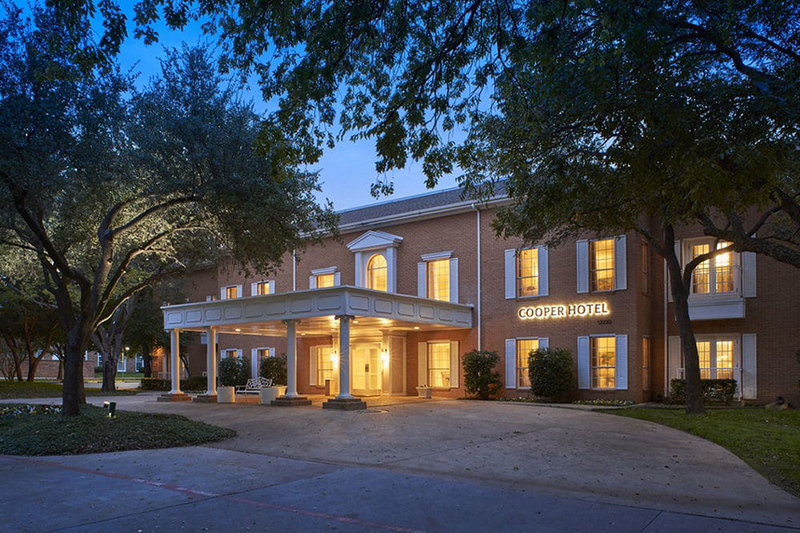 Southlake’s hotel and staff is designed to help you make the most of your trip to the Dallas-Fort Worth area. 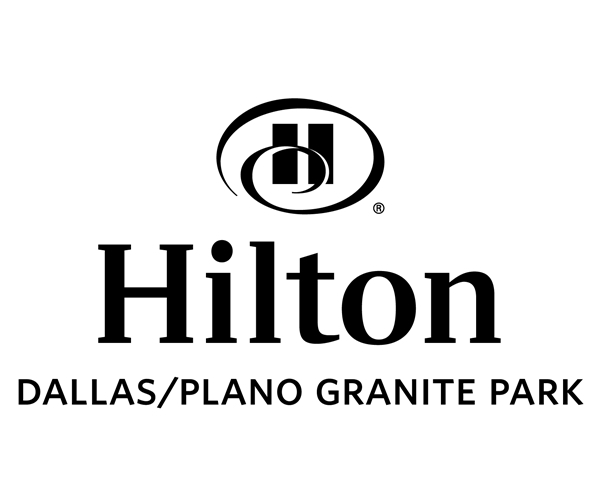 Hilton Plano – Located just two miles from Dallas entertainment, guests are able to easily do what they want from the Hilton Dallas/Plano Granite Park and rest well in between! Refresh at the Mediterranean-style restaurant or swim in the resort-style pool. 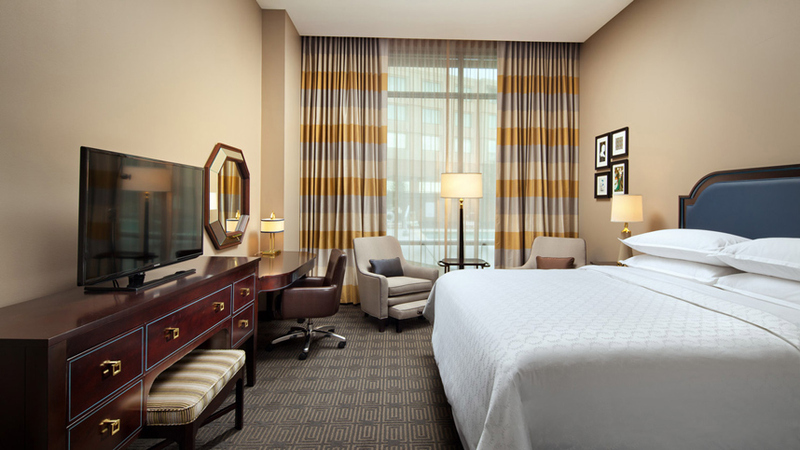 Great location for family and friends to stay during your big weekend! 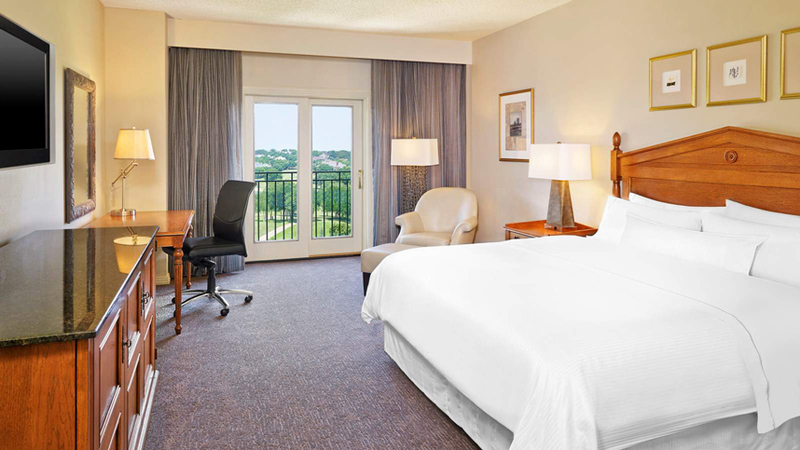 Sheraton McKinney – Just 30 miles northeast of downtown Dallas, discover the picturesque community of McKinney at the Sheraton McKinney Hotel. 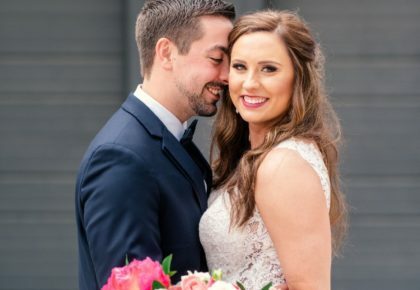 Discover a place to reconnect with friends, enjoy a sense of community, and discover what makes McKinney truly one-of-a-kind. 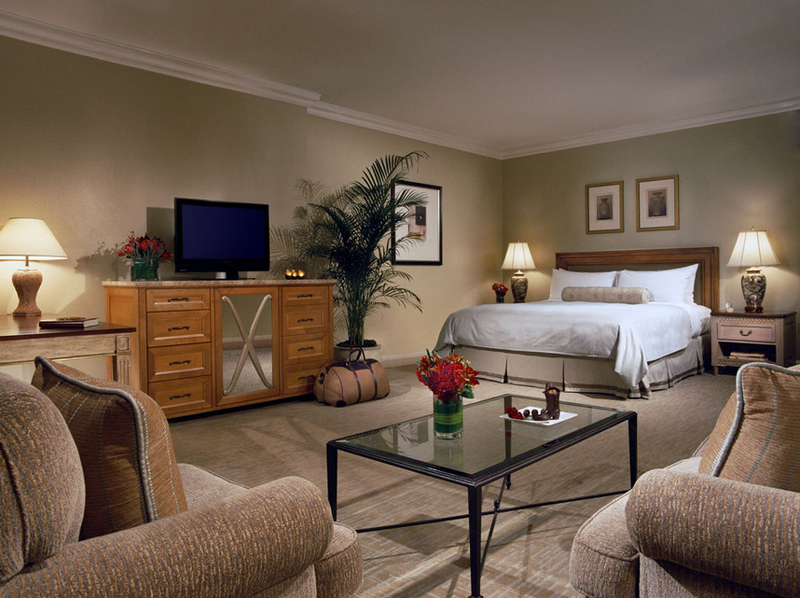 Go for a dip in their outdoor pool, explore the state-of-the-art fitness center, or just enjoy the stay!